Pashudh is a brand of contemporary, authentic South Indian handwoven and pure silk saree. Pashudh has been the centre for authentic, hand-woven South Indian silk sarees, adorned by beautiful women from across the country. We are a popular label based from Arni, Tamil Nadu, started by brothers, K. K. Rajkumar and K. K. Sureshkumar; the K. V. Kumar brand has been a household name for more than forty years now. We have merged traditional aesthetics with popular contemporary designs, in order for the silk sarees to find place in a present day women’s wardrobe. Amicable in nature, Kumar, one of our chief founders, has helped build key partnerships with retailers from across the country. He is also our master-designer whose creations are highly sought after. Not just that, he has also been resourceful in the brand’s progress and has contributed tremendously by way of introducing new technologies in manufacturing, to keep up with the demands of the modern world. We have made remarkable progress since our founding and owe it to our growing family of 750 weavers and 29 administrative staff. 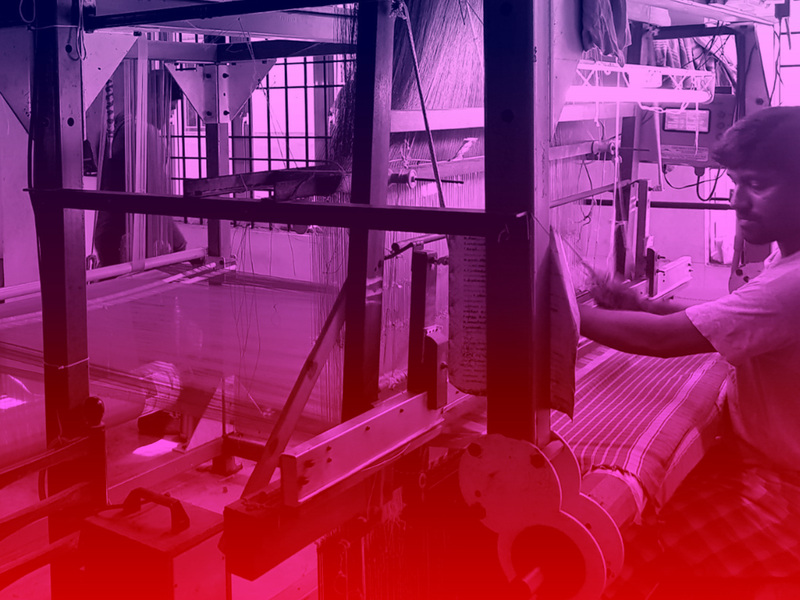 The revised weaving process has been the result of the combination of conventional methods with recent techniques. We are regularly updated on the latest trends and fashion, thereby holding a steady place in the market. As winners of the Best Weaver Award in 2011, our intention is to keep our cultural heritage afloat in the midst of various influences, by holding on to certain customs of the past. We seek to spread the art of hand-looming all over the world, a legacy we are proud to be a part of.